Intended mothers who pursue surrogacy go through a lot. Often, they have spent months or years undergoing in vitro fertilization and other fertility treatments to no avail, have decided to pursue surrogacy and its additional costs, and are willing to accept the physical and emotional complexities of having another woman carry their child. For many women, this aspect can be one of the most challenging of their surrogacy. When an intended mother has dreamed of being pregnant and having a baby for years, it can be difficult to watch someone else go through the process she thought she would go through herself. This experience can often cause confusing emotions. If you are an intended mother considering surrogacy or currently in the surrogacy process, there are a few things you can do to alleviate the pregnancy envy you may feel. As much as it may sting to see another woman carry your child, remember the reason you chose surrogacy — to give yourself the genetic child you’ve dreamed of for so long. When pregnancy envy becomes too much, think about all of the positive things this path will give you. You’ll be present for your baby’s birth, raise them from birth, and have a child who shares your genetics. At the end of the process, it will all be worth it. What should you not do? Focus on the positives of not being pregnant (or let anyone try to convince you of them). If loved ones know you are struggling through pregnancy envy, they may try to make you feel better by mentioning all of the pregnancy experiences you are saved from: morning sickness, bloating, weight gain, etc. However, most intended mothers find that thinking about these things only exacerbate their envy. After all, they would take all of those “negatives” in a heartbeat if it meant they were able to be pregnant with their own child. As tough as it can be, remember that there are positives that stem from the situation you are in — and the envy will pass when you meet your little bundle of joy. This rule is helpful to both intended mothers who are pursuing surrogacy and hopeful mothers who are struggling with infertility. When you are coping with feelings of jealousy and anger about someone else’s pregnancy, you never have to participate in something that exacerbates those feelings (like a baby shower or baby clothes shopping). You must always do what is best for your own mental health. If you are invited to an event that you know will only cause difficult emotions, don’t feel guilty in sitting it out. Consider sending a nice card or gift instead; your friends will understand. When you are an intended mother, people will often have questions for you about your surrogacy experience. 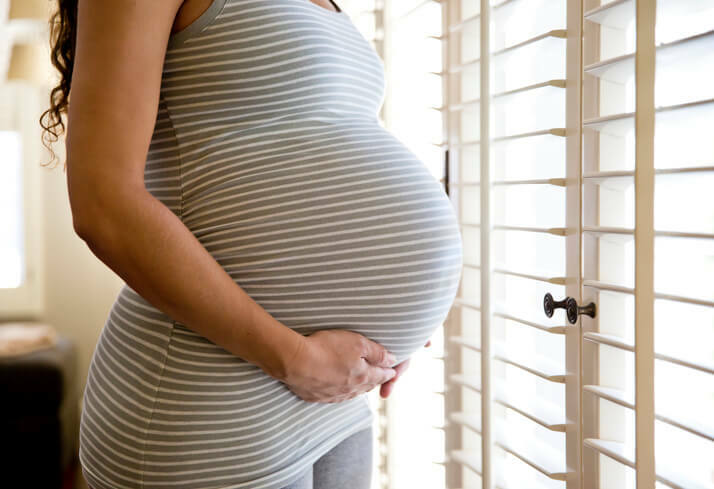 Some of these questions may revolve around how you feel having a surrogate carry your baby — questions which can be hard to address when they bring up uncomfortable feelings. You always have the right to answer or not answer whatever questions you receive about your surrogacy process. Sometimes, when people ask you about the aspects you’re struggling with (like missing out on pregnancy), it can be easier to just move past the topic. Dwelling on how you feel may only cause you more pain. Fortunately, you can always respond to questions by stating you’re uncomfortable talking about it or that your contract prevents you from talking about it. People will usually pick up on this discomfort and drop the subject, allowing you to share these intimate feelings with only those you trust, like your spouse or your surrogacy specialist. How you cope with your pregnancy envy will always be up to you. What works to alleviate some intended mothers’ feelings may not work for you. This is where honest discussions with your surrogacy specialist can be so beneficial. For some intended mothers, being involved in their surrogates’ pregnancies can help them overcome the feelings of jealousy and disappointment they feel at not carrying their own children. Surrogacy is a close partnership between intended parents and their surrogate; an intended mother can be there for the embryo transfer, important ultrasounds and the birth of her child. If she creates a close relationship with her surrogate, an intended mother can be updated on all the important moments of the pregnancy and feel like she is not missing as much as she thought she would. However, some intended mothers might find this contact too much — and that’s completely normal. Still, because surrogacy is a partnership, it’s important that both parties are on the same page about contact moving forward. Only then can it be a positive emotional experience for all involved. When you work with American Surrogacy, your surrogacy specialist will always be there to support you as an intended parent. If you find yourself struggling with pregnancy envy, your specialist can provide the counseling and guidance you may need to move forward in a positive manner. Next Next post: Why Do People Choose Surrogacy Instead of Adoption?